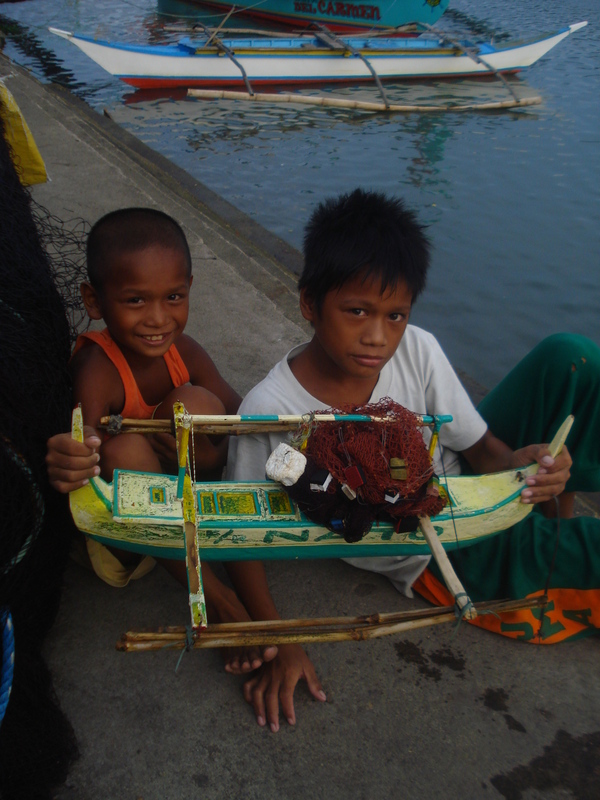 As soon as we got down Nato Port from Atulayan Island, I saw these two adorable brothers playing with their toy banka (boat). I just had to take a picture. 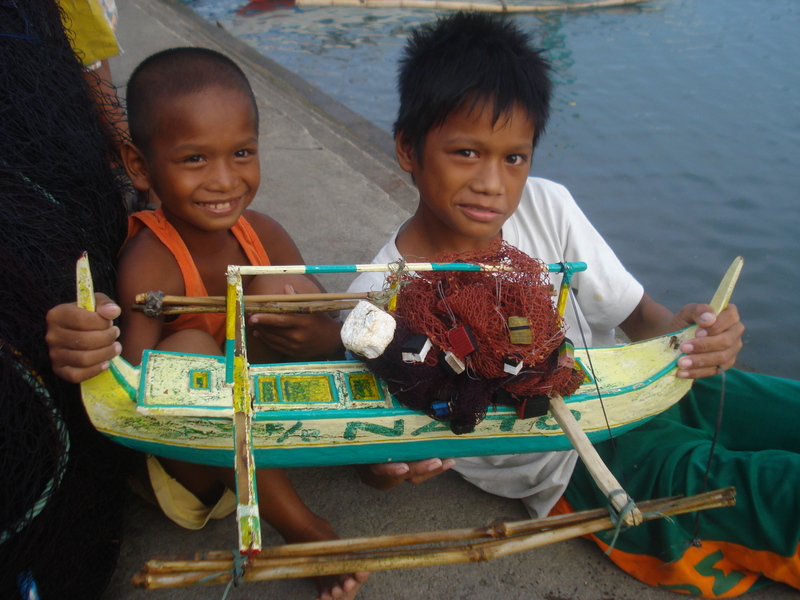 You can see the innocence and joy of the two brothers showing off their prize toy. Like your new look on the blog, and the pictures are so powerful, great post! Its a perfect kodak moment…These kids don’t have much toys but they seemed happy! Cute! I love the joyous sense of accomplishment on their faces. 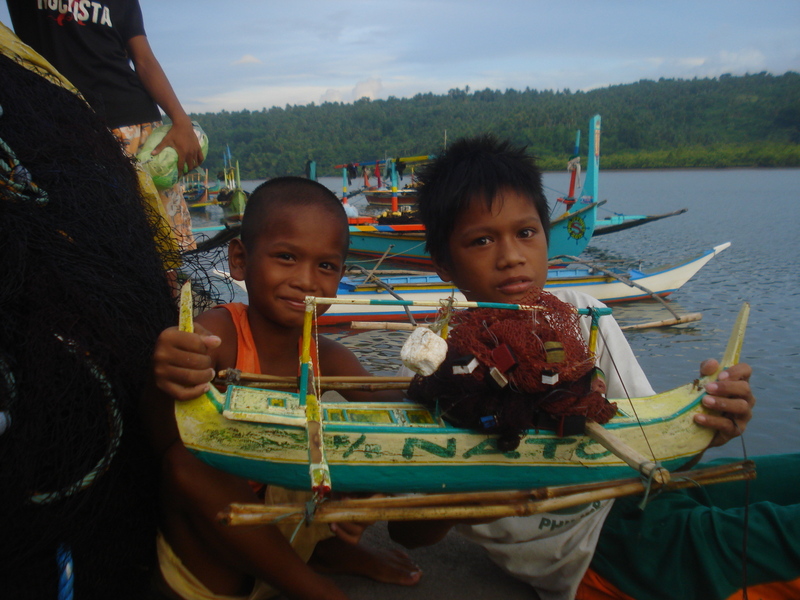 Me too…They do not have much but they still look happy with that simple toy which makes it a great kodak moment.. Thank you, I feel the same way too! Love the boat and the boys are too cute!!! Thanks for taking the time to comment and liking my post. 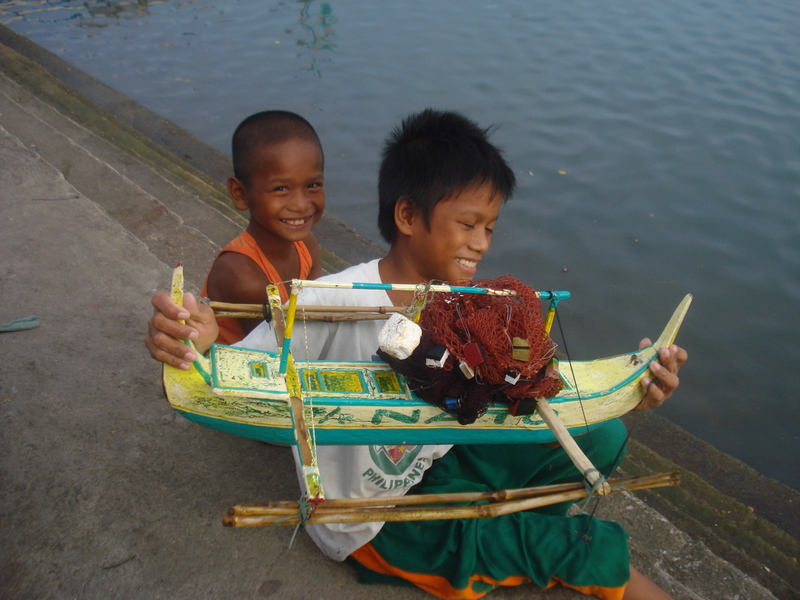 I love the look of the blog too and most especially the kids playing with the boat. Love the toy banca. Colorful, fun , simple. This reminds us how life should be. Best part were the happy and generous smiles. Beautiful! Among all the pictures I took. I say, this is my favorite…The innocence, the simplicity and the smiles which makes the photo really powerful! They might not have all the toys in the world but one boat is enough for them. Really, what a coincidence…We used to have a movie house there..We rarely go to Cam Sur but usually, my parents would take us there to visit Carol and Catlalina Island…I plan to go to Daet on Wednesday with my niece to visit Bagisbis Beach but it all depends with the weather. 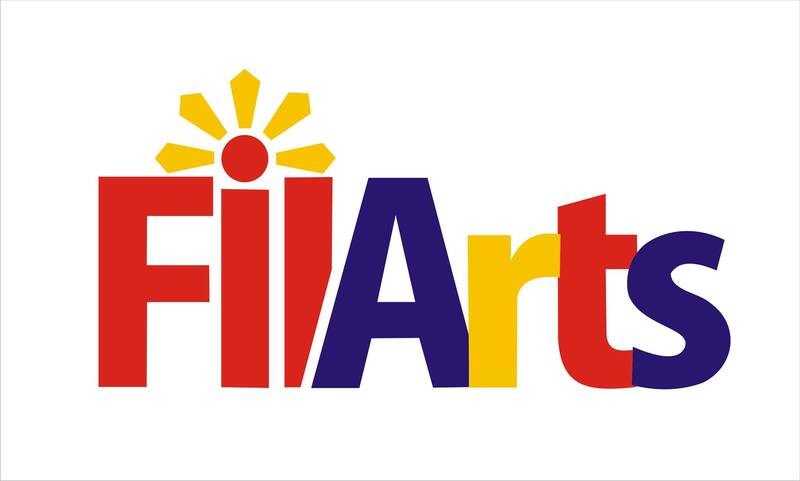 Its been raining in Bicol lately. Nice boat….and by the way, I love the new look of your blog. My neice said, we call the toy banka’s baruto in Bicol..
Yeah, I love the new look of my blog too! I’m going to follow your blog and will be back, the kids look happy. Reblogged this on Brian Herrington Journal.